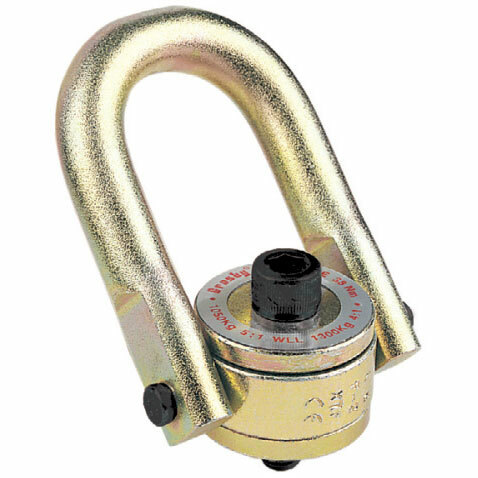 Available in UNC and metric thread forms the high quality Crosby HR-125 range of swivel hoist rings are designed for the lifting and handling of heavy loads, and are widely used in safety critical industries throughout the world. The Crosby HR-1200 range of side pull hoist rings are ideal for die flipping applications, body components are alloy steel and utilize standard Crosby Red Pin® shackles. Available in both UNC and metric thread forms.